Add 2 Salmon Oil Capsules (2000 mg) or 1 stroke of the salmon oil pump. This recipe has proven over many years to be a cure for feline IBD. 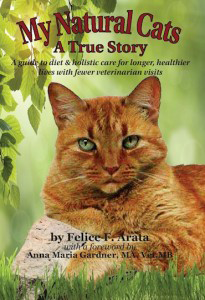 Our success stories both on this website and in our book My Natural Cats book tell of many IBD cats that were cured.